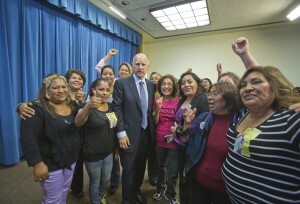 Domestic workers and Governor Brown cheering after he signed AB 241 into law. 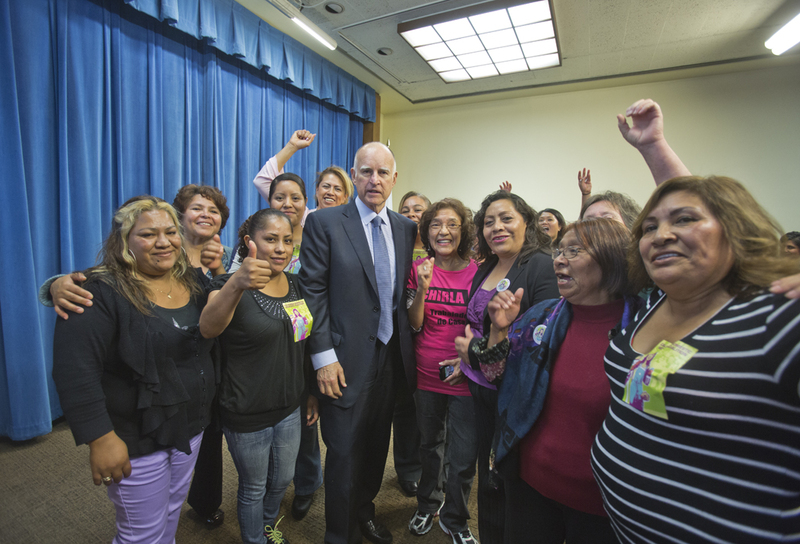 For ten years, MUA, alongside grassroots domestic worker member-based organizations part of the California Domestic Workers Coalition, organized to win the California Domestic Workers Bill of Rights (AB 241). In 2016, this bill was signed into permanent law by Governor Jerry Brown. The law extends overtime protections to personal attendants who care for and support thousands of individuals and families in California, including children, seniors and people with disabilities. 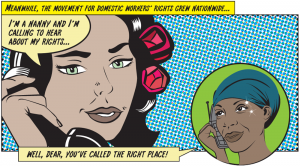 This right to both daily and weekly overtime, covering all domestic workers not part of the In-Home Support Services (IHSS) program, is the strongest of its kind nationwide. Following this momentous, precedent-setting victory, MUA is currently participating in the Coalition’s statewide education and enforcement campaign Dignity in Action: Uplifting the Work in our Homes. Doing outreach in the parks to nannies! 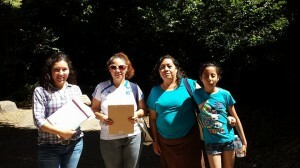 Continue to strengthen our coalition by supporting campaigns for IHSS worker protections and increasing family’s access to quality affordable care through local Care Councils. 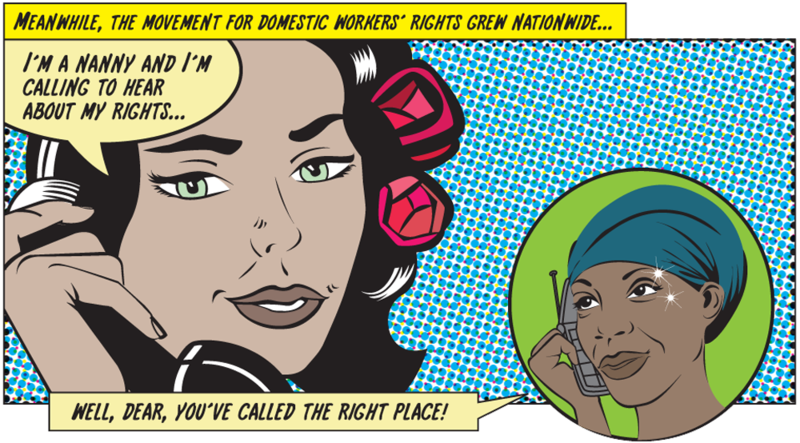 Housecleaners, childcare providers, and caregivers: Call the Domestic Worker Hotline (347) 967-5500 to learn about your rights, health & safety, and join the movement! You can also text “Mujeres” to 97779 to subscribe to our free texting program!